Veteran UK producer and dub mixologist Mad Professor has teamed up with Jah9 to add a dubby to her latest album 9. In The Midst Of The Storm was originally released for Record Store Day in April, but is now widely available, which is very welcome, since this album is exceptional. 9 was one of the best sets released last year and its dub counterpart is just as great. Mad Professor has deconstructed the songs and puts focus on various musical elements, drums and bass of course, but also percussion, horns and guitar. It’s a free-spirited album where Mad Professor has been let loose on his mixing desk. The result is hypnotic and dreamy and challenges the listener. Check for example the sparse I Aware Dub with its ferocious, yet bright, flute dropping in and out of the mix or the psychedelic Dub Prevail with is militant percussion. Mad Professor manages to put another dimension to the original album and together with Jah9 he pushes musical boundaries for a spiritual sonic journey. Just when legendary producer, innovator and mixing engineer Lee Perry turned 80 he dropped a new album titled Black Ark Classic Songs. This twelve track set is the vocal version to the excellent, and also recently released, Black Ark Classics in Dub. Both sets are produced by Mad Professor – who has worked with Lee Perry since the early 80s – and backed by The Robotiks. Together with Lee Perry they have re-recorded and re-shaped a number of classic cuts, most of them originally recorded at Lee Perry’s (in)famous Black Ark studio in the 70s. As expected the riddims are insanely strong and dynamic with an ethereal and swirling audio landscape, but Lee Perry’s mumbling vocal style is as usual an acquired taste. It’s mystical and spiritual rather than graceful and melodious. Lee Perry’s music career spans almost 60 years and he still manages to stay relevant. Impressive. Legendary production wizard Lee Perry’s vocals is certainly an acquired taste and I have always preferred him as a producer rather than a singer. And on the most recent Lee Perry album his vocals is fortunately only featured on only a handful of the 14 – eleven on the vinyl edition – tracks. The album in question is Black Ark Classics in Dub, a set where Mad Professor and his band The Robotiks, which features Prince Fatty regular Horseman on drums, take on a number of classics rhythms originally recorded at Lee Perry’s infamous Black Ark studio. The Robotiks have recorded new versions of a number of stellar riddims, including Party Time, Soul Fire, I’ve Got the Groove and Zion’s Blood. The riddims have been received the Mad Professor treatment and the set offers a cocktail of instrumentals and dubstrumentals sharing heavy and smattering percussion as a key ingredient. There are no far-out dub excursions to be found here and there are no signs of madness. Mad Professor and Lee Perry have grown up. And that’s not necessarily a bad thing when the riddims are as powerful as these. Jamaican-born and UK-raised singer Randy Valentine has teamed up with Mad Professor’s son Joe Ariwa for another strong EP. Still Pushing is just like its predecessor Break the Chain released via Hemp Higher and it offers more of the same rootsy reggae with a contemporary flavour. This new set might however be a bit more on the dubby side of reggae. 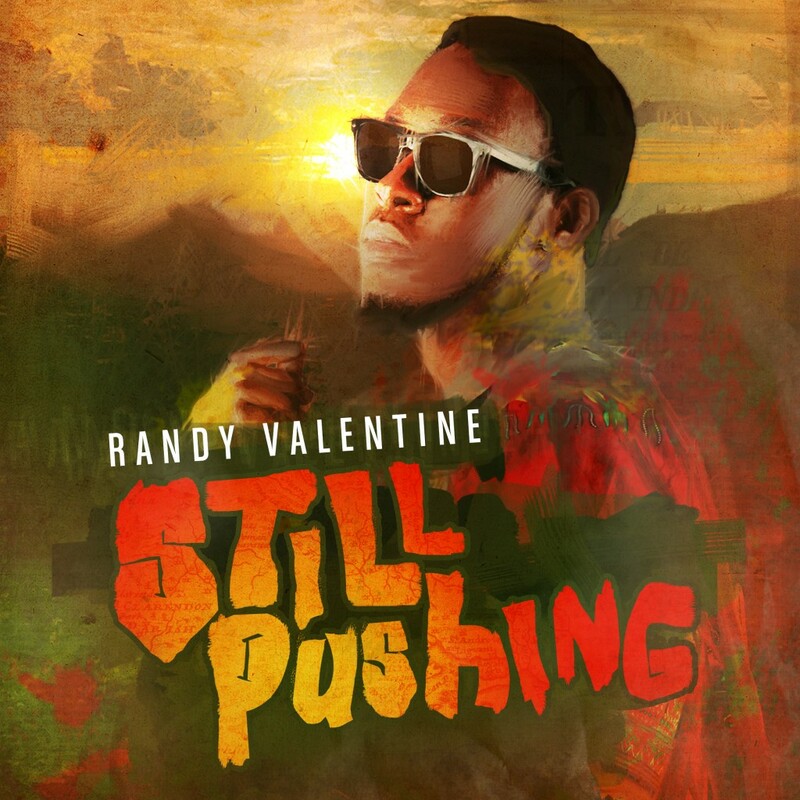 Randy Valentine is one the best – if not the best – European singers right now. He has a great energy and melody in his voice and he can probably make any track interesting. Still Pushing comes with eight tracks, of which one is a dub version and one is a mighty fine slice of a cappella where Randy Valentine gets the chance to showcase his strong and emotional vocals. This is another beautiful set from Randy Valentine and after two EP’s and several strong singles and one riddim album cuts I’m definitely ready for his debut album. Two pivotal producers and mixing engineers on the UK reggae scene have teamed up for a brand new dub album titled The Clone Theory. Mad Professor and Prince Fatty met on the UK sound system circuit and discovered that they shared a mutual love of analogue sound and tape machines. But they also have a common friend – deejay and drummer Horseman. Today a Prince Fatty regular and formerly a drummer for Mad Professor while still at school. 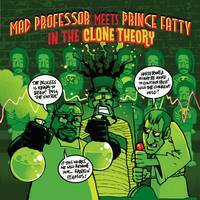 On Mad Professor Meets Prince Fatty in the Clone Theory two musical heavyweights mix five tracks each and the result is a soulful and warm dub album complete with blazing horns, rolling drums and pulsating bass lines. Mad Professor has selected five explosive cuts from his generous vaults and they are backed by a stellar team of musical legends, including Sly & Robbie, Leroy Mafia, Sky Juice, Dean Fraser, Earl 16 and Michael Prophet. Prince Fatty draws tracks from up and coming albums along personal recordings. The dubs of Winston Francis’ dread I Kill the Devil Last Night, militant Johnny Osbourne’s Back Off and Prince Buster’s dark Idi Amin are among the many highlights on this warm and organic dub album. Last year veteran UK deejay Brother Culture teamed up with producer and mixing engineer Joe Ariwa, son of the legendary Mad Professor. Together they dropped a set titled The Secret Files, an album where Brother Culture targets Big Brother, state control and invasion of personal privacy. It’s certainly a current issue thanks to the disclosures made by Edward Snowden. As usual with albums coming from Ariwa this is showcase effort and each of the six vocal cuts are directly followed by their dub counterpart. And over a heavy and equally steady riddim Brother Culture chats “the most camera is found in the UK. The film you in the cinema, they film you in the bar, they even film you when you are walking in the park. They say it’s part of the war on terror, but soon every man a gonna need a barrister”. A telling verse of how it is in many countries today. Big Brother is watching every step you take; whether you are outside in the streets or at home in front of your computer. An important album targeting a critical question, and hopefully it might raise awareness around Big Brother surveillance. 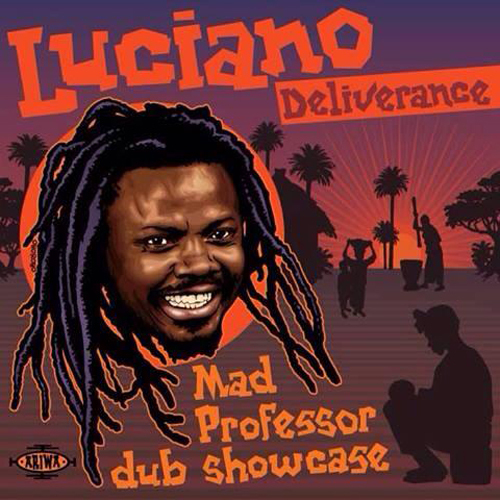 On Luciano’s third album in 2014 he has once again joined forces with UK dub legend and mixing maestro Mad Professor. Their Deliverance effort from last year was a strong set and its follow-up Luciano at Ariwa is yet another solid slice of rootsy reggae and smooth lovers rock, recorded with live instrumentation, including horns by no other than veteran saxophone player Dean Fraser. And just as Deliverance this set comes in a showcase format, i.e. each of the six vocal cuts – seven if you get the digital copy which includes a remix with U Roy – are followed by their dub counterparts, where Mad Professor and his sons Joe and Kamal turn up the bass and treats the mixing board as an instruments of its own. 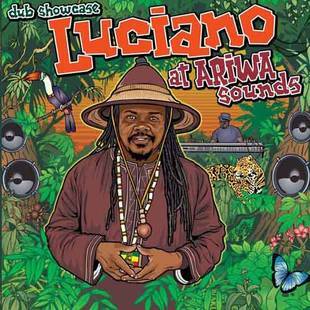 Luciano has always been heavily inspired by the late and great Dennis Brown, and that influence is just as prominent on this set as it was on Deliverance, especially on a version of Dennis Brown’s Have No Fear. Luciano also covers John McLean & Dego Ranks’ slick Special Kind of Love and For the Love of Money. On the latter Luciano also showcases his deejay skills. Luciano is an extremely productive singer and it’s not unusual for him to drop two or three albums each year, but they rarely have the same high quality as the two albums now released by Mad Professor. Dub phantom Mad Professor has recently released a new album titled Dubbing with Anansi. The album celebrates African/Caribbean folk hero Anansi, a half man, half spider, fictional character that survived the Atlantic crossing during the slave trade, and the transition made from free, African citizens to exiles in the western world. It was a time when speaking in one’s native tongue was forbidden, but the tale of Anansi lived on, and so did the percussive-driven African music and its melodies. On Dubbing with Anansi, which is one part dub and one part instrumental, Mad Professor shows his excellent mixing skills utilizing new and experimental sonic wizardry to create an audio explosion with a brilliant us of horns and odd sound effects, including barking dogs and crashing porcelain. Standout tracks include album opener Atlantic Crossing, Culture Vulture with its haunting melodica, Anansi Spell with its relentless percussion and Tribal Dance with its laid-back horns and a swinging Brother Culture on the microphone. Mad Professor has over for more than three decades worked with a broad range of artists from several different genres and he earned his stripes years ago. He has been rather prolific releasing albums under his own name as well as producing and mixing other artists, including a strong set from Luciano put out earlier this year. Dubbing with Anansi is a dazzling an at times hypnotic album on which Mad Professor shows why he is a reggae legend and a force to be reckoned with. 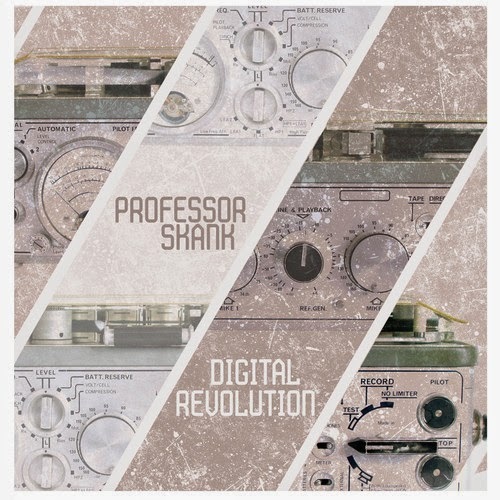 On Greek producer Professor Skank’s second album Digital Revolution old meets new and traditional goes progressive. Reggae, particularly the heavyweight UK dubwise kind, is mixed with traditional Greek instrumentation and melodies. Professor Skank started his career with a four track studio in the early 90s and later worked with Mad Professor at his Ariwa studio in London. Zion Train, Max Romeo and Aswad where some of the artists he had the opportunity to record together with. The skills he acquired working with Mad Professor where later utilized on his debut set Industrial Democracy and now he has taken his sound one step further. His Greece roots are showcased throughout the twelve tracks, especially on highlights such as Revolution, where a bouzouki is thrown in the mix with great effect, and the rolling Radio Freedom, a track with a wicked hip-hop inspired break. Digital Revolution is mostly instrumental, even though MC J Fyah shows up dropping lines on two cuts and Earl 16 sings on the pulsating Money Pressure. Most of the vocals is however sampled, for example a dramatic speech on Greece’s financial troubles. The experimental side of Professor Skank is also presented via tracks such as Jamming With a Hippie and Another Kind. The booming Champion Dub and album opener Positive Image, which uses the tough Kunta Kinta riddim, are also a bit radical. This album is not a reggae meets zorba set. And the only glass that will be smashed is thanks to some of the ultra-heavy bass lines. It’s no secret that Jamaican vocalist Luciano is heavily inspired by the late and great Dennis Brown. And on Luciano’s new album Deliverance he sounds almost like a reincarnation of the Crown Prince of Reggae. The similarities are especially clear on the two Dennis Brown covers – Deliverance aka Deliverance Will Come and Three Meals a Day. Both excellent, just as the remaining 13 tracks on this Mad Professor produced album. Deliverance is a showcase set where Luciano mixes lovers and culture material, just as Dennis Brown did with great success. The vocal cuts are followed by its dub counterpart, and the mixing is sublime. Not much effects or sonic wizardry. Just the bare riddims with vocal snippets and instrumental parts dropping in and out. This is a highly consistent album with way more than two handfuls of highlights, but standout tracks include a stellar and clever nyabinghi-driven version of the mighty Stalag riddim and the roaring Show a Sign with its driving percussion. Luciano has over the past 20 years or so been one of the most prolific Jamaican artists. He usually drops at least one album a year, and he has now been on something of a creative high for four consecutive years and he shows no sign of slowing down.